One of the most distinctive dark beers in the world. 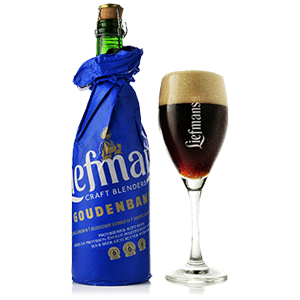 Liefmans Goudenband is a masterfully crafted dark beer. Fortifying beers that have had up to 12 month cellar maturation with younger beers, to start the fermentation process again, before further maturation. This is a beer that stores exceptionally well; even after 10 years, a luxurious freshness shines through this dark red beer. Apple, rhubarb, cherries and caramel all combine with a rich woody notes and hints of nuts & dried raisins. A refreshing 100% natural sparkling fruit beer. 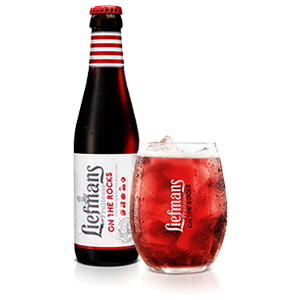 Liefmans on the Rocks is intensely flavoured with fresh strawberries, blue berries, elderberries, raspberries and luscious black cherries. The epitome of refreshment, Liefmans on the Rocks is served chilled over ice; delivering a beautiful, natural, fruit sweetness, with a sour edge that quenches any thirst. The perfect marriage between the wonderful freshness and slight acidity of black cherries. 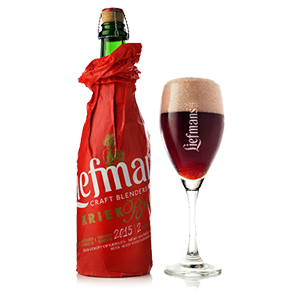 Liefmans Kriek is an astonishing blend of Oud Bruin (Old Brown) and pale beer, aged with copious amounts of fresh black cherries. Once brewed, the beer is allowed to mature for 18 long months, compounding the complex rich flavours to create an intense ruby-brown beer that radiates with class.